Well with baby #4 on it’s way in our house saving time and still cooking healthy homemade meals is HIGH on our priority list. So this past weekend we set aside sometime to freeze down some quick snacks and whole meals. Here is 2 really easy meals to prep ahead of time and pull out of the freezer for a crockpot meal when you need it. Basically add all the ingredients to the zip lock bag, shake and mix together, seal and freeze. 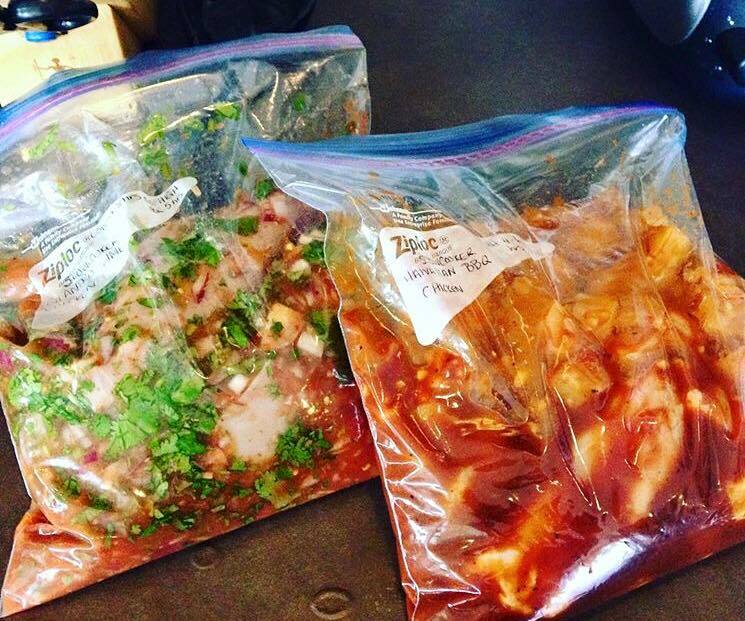 When you are ready throw the bag on the counter for an hour to defrost and then empty into the crockpot, VOILA! Easy meal on those not so easy days of juggling life with kids!!! juice of 1 lime & freeze. Throw in crockpot on HIGH for 5-6hrs. 4 cloves garlic black pepper & freeze! Throw in crockpot 4-6hrs on high. Serve over cauli-rice, rice, quinoa, or in a wrap. ← POUND for FORT MAC! !